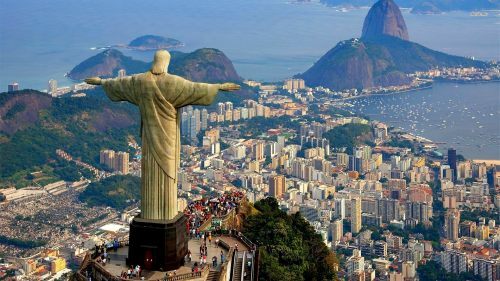 United Airlines and Delta are showing flights from Calgary to Rio de Janeiro, Brazil for $662 to $702 CAD roundtrip including taxes. This is a new record for the cheapest flights from Calgary to Rio de Janeiro. 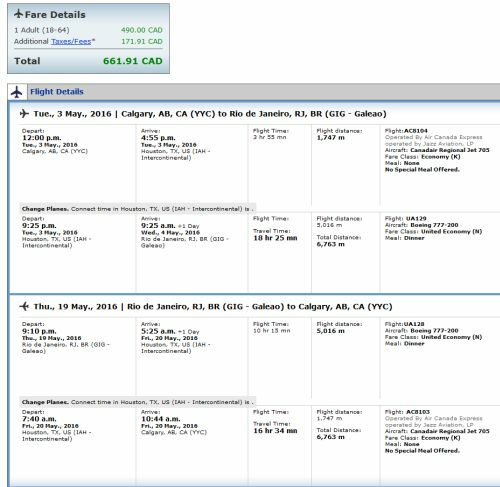 The $662 CAD flights are in April and May 2016. But what might be even more interesting is that June 2016 flights have dropped to $702 CAD roundtrip. This is interesting because Brazil is waiving the visa requirement for tourists visiting between June 1 and September 18, 2016, due to the Summer Olympics. I've been seeing currency issues when going from Kayak to the United website. Sometimes the price seems to come up in $USD instead of $CAD. Once your dates are narrowed down you may also want to try going to www.United.ca directly and searching there. You may also be able to go directly from your Google Flights search to the United website. calgary, yyc, flight deals, south america, delta, united airlines, brazil, rio de janeiro, gig and rio.